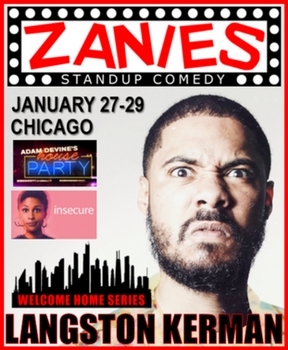 Comedy Of Chicago: Langston Kerman at Zanies! Langston Kerman, an Illinois born stand up comedian, actor and writer will be performing at Zanies in Chicago January 27th - 29th. He was a writer for Chris Rock's writing staff for the Oscars and the 2016 Academy Awards, as well as the upcoming Comedy Central Show Problematic with Moshe Kasher. A man of many talents, Langston Kerman was the‘New Face’ at the 2015 Just For Laughs Festival in Montreal, has performed at the RIOT LA Comedy Festival and was the co-headliner at the New York Comedy Festival. He can also be seen on upcoming episodes of HBO's hit series "Insecure" from Issa Rae. 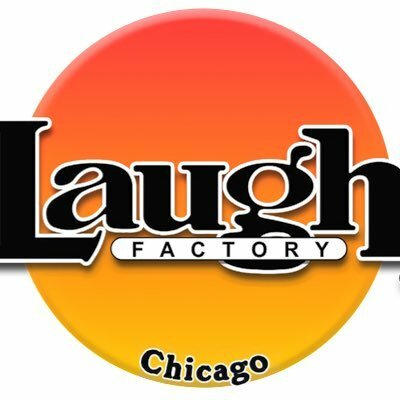 Be sure to catch him at the legendary Zanies comedy Club. 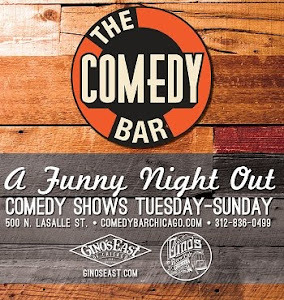 Three nights only!